The best discount Valve Cover Gasket OEM Parts. Our inventory is always being updated, searh for Valve Cover Gasket parts for the following makes. 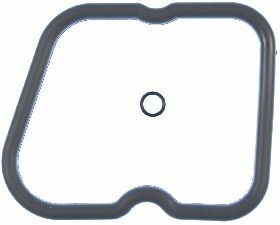 A Valve Cover Gasket is usually made of rubber or cork and covers the top of the engine to prevent oil leaks. They can be easily removed to allow access to the valves for adjustment. When should you replace your Valve Cover Gasket? When you perform your routine inspection you should be able to tell what kind of condition your Valve Cover Gaskets are in. If you notice that your valves are extremely dirty or there is oil leaks or stains on them then you should replace your Valve Cover Gasket. You can smell oil burning while driving. There is oil or a lot of dirt on your valves from the Valve Cover Gasket. If your engine burns through oil quickly and is constantly low. Engine is struggling to perform and run.